Born Mark Thomas May, September 29, 1961, in Colombus, Ohio, Mark started to play guitar at the age of five. From a musical family, Mark was exposed to many different styles of music. His mother's love was Bluegrass and Country music. 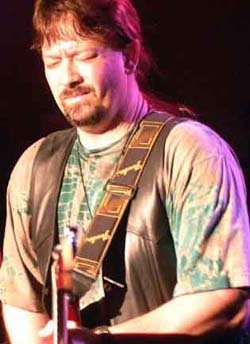 His brother, Ken, was into Rock and played with Craig Fuller, who formed Pure Prairie League, and wrote the song "Amy". At the age of 14 or15, Mark began playing with various bands and had his first professional club date around the age of 15 or 16. Blues-oriented music has always been an interest to Mark. One of his earliest influences was Hendrix. When Mark started to host the Monday Night Jam at The Crew Quarters in Seabrook, his love for the blues really took hold. Not only were the crowds responsive to the Blues, but Mark never felt more at home, both musically and vocally. 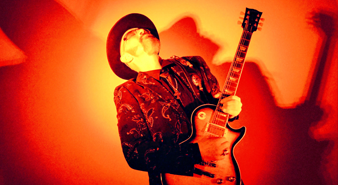 A friend turned Mark onto the music of Blues legend Albert Collins and that influence made a profound affect on him. Soon after, Mark put together his first real blues/rock band. 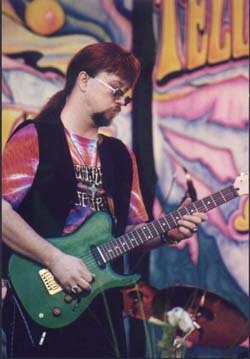 Original members included "Fretless" Dan Cooper (bass/vocals), Danny Goza (drums), and Eric Dimmer(sax), who has sinced moved on to play for Clarence "Gatemouth" Brown. After Eric left, Dave Nevling (formerly with Bert Wills) joined the band bringing his club-tested blues harp and an extra vocal dimension to their sound.